Before I went on my trip, I wasn’t sure how I should go about spending my money overseas. As I was away for 3 months I didn’t want to just take cash with me and I didn’t want to use my Credit Card for everything either. 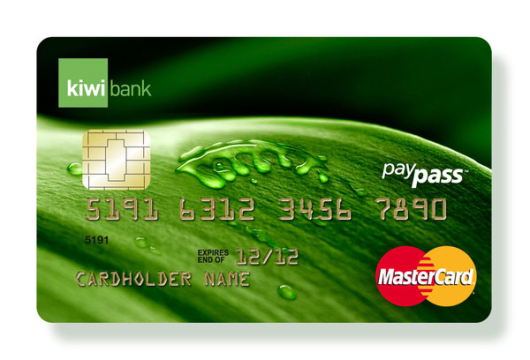 In this post, I’ll talk about the different types of cards you can get in New Zealand to help you spend your hard earned cash overseas! This is the card I used when I was travelling and I loved it. So if you have about NZD $1,000 on your card and you spend it all, that’s still $10 that can go towards a flight or something from the Air NZ Airpoints store. The card works like many of the travel cards I’m going to talk about. It has a travel wallet function that lets you lock in up to four foreign currencies before you travel. So you can have either Australian dollars, US dollars, Pounds sterling, Euro, Canadian dollars, Hong Kong dollars, Japanese yen and Singapore dollars. First of all, before you go, you need to load money in the New Zealand dollar wallet of your OneSmart Account, then you can lock in an exchange rate on up to four foreign currencies at any one time. The have an app you can use and it’s so easy to just move money around into different wallets and it gives you the exchange rate at that time so you know how much you’re going to have in the other currency before you move it. I traveled to the US first so before I went, I budgeted for $100 USD a day and put all that money into my 1 wallet. When I made a purchase in the states, the OneSmart Account recognized this and automatically took money from that currency wallet! I went to the UK next for 5 days so I put 500 Pounds in my ‘Pounds wallet’ and it did the same thing and took money out of my ‘Pounds wallet’ I had set up. Unfortunately, it doesn’t have a wallet for places like Switzerland where they use Swiss Franc, or when I went to Croatia and had to use their currency called Croatian Kuna. The OneSmart card is pretty smart however, when I paid for stuff in Switzerland it automatically took money out of my Europe wallet as it was the closest currency to what I was trying to use. Same as Croatia, it just took money out of my Euros. You can also use the card for shopping online. You just enter the 16 digit MasterCard number, expiry date and security code as you would with your debit or credit card and make your purchase. It’s great if you’re shopping on a European website and you have Euro’s left on your card, you can just use them! It’s free to load funds!! I only had 1 OneSmart card and needed another (As a back-up) so they quickly sent one to the place I was staying in LA for me. Got there so fast!! ** – This just happened for me, I don’t know if I just got lucky or they actually don’t charge you. I’ve used this card twice. These are the cards you always see at Flight Centre or ANZ if you bank with them. They will usually recommend this Travel Card to you. I know they have a deal on at the moment that if you get this card you’ll get an extra $25 NZD* of travel money when you choose Cash Passport. It works similar to the OneSmart card. It has 9 Currencies on the card NZD, AUD, EUR, USD, GBP, JPY, CAD, HKD & SGD. And it has its different ‘wallets’ as such where you can load money into them and lock in the current exchange rate. Back when I went to Thailand, I’m so sure that Thai Baht was one of the currencies on the card so I was never charged any ‘conversion’ fees. However, now when I look at their website it seems they don’t have Thai Baht as one of the currencies anymore which is a bit disappointing. Anyways, the reason I wasn’t too fond of this card was because in Bali as their currency wasn’t one of the ones available on the card, I was charged the MasterCard® rate plus 5.95% every time I withdrew money. I think I was just more annoyed that my travel agent didn’t tell me that when I said I’d be using it. I found that in Bali, you can only get out a certain amount of money at a time (which is not much) so I was always getting charged 5.95% of however much I withdrew whenever I needed money. You also have to pay when you first get the card and put money on it through your travel agent. This fee is set and charged by the agent from which you purchased the Card. I also hated how I couldn’t choose my own PIN number. It automatically came with the card and you’d have to remember it. Not so good when you’re drunk and trying to enter your card number at an ATM in Thailand which then proceeds to freeze your card as you’ve done the PIN incorrectly 5 times. I’ve never used this card before, but I think my friend used it in Thailand because her Mum worked for Westpac. It’s a little different to the other cards as you don’t have any money locked into an exchange rate. It works more like a pre-paid card. You buy it from Westpac for $20 with some cash to put on it and the load it up with a PIN number. You can use it anywhere VISA is accepted and withdraw cash from overseas ATM’s. You’ll also pay no international transaction fee – saving you up to NZ$8 every time. Westpac is the only bank in New Zealand to give you this saving. As you don’t have any wallets on your card where you can change your money into currencies like USD or THB , whenever you use your Westpac credit or debit card to withdraw money from overseas ATMs your transactions will incur a foreign currency conversion fee. This is currently 2.5% of the New Zealand converted value of the foreign currency transaction amount. I haven’t used this Travel Card, But I was reading up on it last night for someone else as they were going to Thailand. It’s another pre-paid travel card where you can load up to 11 different currencies. The order in which they are displayed is also the wallet order in which the card goes through to find funds in when you are trying to pay for something and you don’t have enough currency in the relevant currency wallet. It works like the OneSmart card, so if you’re shopping in America and you have USD loaded onto your card, the card will recognize that and take money out of that wallet. It works just like a Credit Card so it’s accepted anywhere that has Visa, except instead of owing the bank any money, you’re just using the money you already loaded onto it at the Post Office. However much you load at one time, for each currency, the reload fee is just 1% but capped to a maximum of NZ$10 each time for each load. You’re also given a second card just incase you loose the first one while you’re travelling. To get one of these cards, just head to your nearest KiwiBank or Post Office with some ID like a drivers license and a eftpos card with your name on it or your passport. You get one free ATM Balance Enquiry every month at an ATM but after that you pay $1 when you use your card to make an ATM balance Enquiry at a New Zealand or overseas ATM. It also charges you NZD $6 every time you make a withdraw overseas. When you use your card for a transaction in a currency other than New Zealand dollars and the other 10 currencies on the card, you’re charged 2.5% of the Currency used to make the payment. There’s a very small charge to load money onto the card and it’s $12 to set up the card in the first place. You have a card to use straight away and a second card for emergencies in case your first card is lost, stolen or retained by an ATM. Choose to load your card when the exchange rates are looking good. Use up any remaining balance shopping online or using your local ATM. The only time I used my Credit Card overseas was when I paid for my accommodation. I set up a bank account before I left and put all the money I knew I needed for my accommodation in there, and when it came to paying I’d just pay with my Credit Card and then immediately pay it off. I actually ended up over-saving because I wasn’t sure with the exchange rates how much I’d need. ANZ customers don’t have to pay any fees on withdrawals from everyday and savings accounts at ANZ ATMs in Australia and 18 other countries throughout Asia Pacific. There is a 2.5% currency conversion fee on the New Zealand dollar equivalent of what is spent on purchases on a Visa debit or Credit card. If withdrawing cash from an ATM machine there is also the same currency conversion fee along with a $5.00 overseas ATM fee (unless displayed otherwise on the ATM). You would also be charged cash advance interest at a rate of 22.95% per annum (subject to change) when using the credit cards credit limit for the cash advance. Of course using your own funds from your bank account via Visa debit wouldn’t have this interest rate charged. When you buy things and make cash withdrawals in foreign currencies using your credit or debit card overseas, you’ll be charged a foreign currency service fee. The fee is 2.25% of the transaction (in NZ dollars). Also, remember if you withdraw cash from your credit card (cash advance), interest accrues straightaway and you won’t earn any rewards on the amount you withdraw. The Credit Cards & Debit Cards seem to have a $8 fee per transaction whenever you use them in an ATM overseas. Overseas Cash Advance is $6 per transaction. When you need an emergency cash advance overseas without a card. $52 per request. When you use your credit card for a foreign currency transaction. 1.85% of the New Zealand dollar amount is charged once converted. For overseas transactions made using your ASB Visa card, Offshore Service Margins of 2.10% of the New Zealand dollar amount of the transaction are charged. I’d say if you were going somewhere where you needed to pay in Cash alot of the time (Say for tipping in America or South East Asia for market shopping) I’d defiantly bring cash or a travel card so you’re not paying ‘Cash Advance’ fees all the time on your Credit Card. A tip for overseas- hide some money in your suitcase just incase! Wallets do get stolen. And cards do get lost. Unless you go to South East Asia than compare all you want!! I’ve used both the Air NZ Onesmart card and the Loaded for Travel card.. of those two I prefer the Onesmart cos you get airpoints (bonus) and there are less fees. But I had an issue where they blocked my card and I had to call to get it unblocked which was so annoying and expensive to call.. turns out if you use it twice at the same shop on the same day they will automatically block it, also if you have a high number of transactions (which is what happens when you’re at a mall shopping like I was at the time!). In saying that, I still prefer them cos they are cheap and easy to use. However because they don’t give you a back-up card I am not sure if I’ll use it in Europe next year because I am scared of what will happen if I lost it!! Oh really? I went crazy shopping in Dubai and Singapore and they never blocked my card. Maybe it was because I’d been to them on the phone and kind of told them my travel plans maybe… but yeah that is a bit weird. You can get a back – up card. I got really confused with that because I’d asked them on the phone if I could get a second one (same reason as you, incase I lost it) and I was told no but they could send me a replacement if I lost it. I was like uhhh… how am I going to get it if I’m travelling from place to place overseas. Just a big, big caveat about onesmart, make sure you get verified before you go overseas. That’s not Internet verified (as they say you can do) but going in person to Bnz. I verified my account online and had no issues until they blocked my card and then unverified my account after unblocking it. Long story short, I can only get out $150 each transaction now (which is really expensive as I’m currently in south east Asia and need to constantly have cash on me which means I need to do multiple withdrawals and get multiple fees). Also, I am unable to verify my account until I get back to NZ (when I won’t be using the card), and I can only have the money refunded if I print out and complete a form and pay a charge to have MY money transferred back to me. Long story short, after being mucked around and having my account restrictions changed it is no longer beneficial to use the onesmart… And they have a whole lot of my money that I have to pay them to get back. Not impressed. Oh that’s horrible to hear Laura! I guess they must have big security issues because you’re the second person who’s said they got their card blocked overseas. I used my card sometimes more than 10 times a day (going shopping, having dinner, buying duty free stuff etc) I even put the payment for pizza on my card for like 20 people (over $250 USD) And they never blocked it. Looking back, maybe I did go into BNZ and verify my card/identity but I can’t be 100% sure.